More than 25 million businesses use the platform to capture attention, incite interest, create desire, and compel action. With so much competition, a thoughtful, proven strategy is necessary for success. These tips will help you shape that strategy. This’ll be quick. 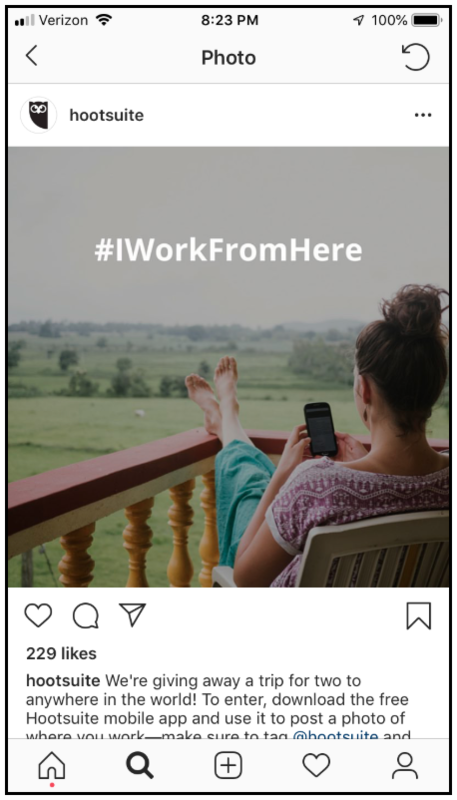 If you already have an Instagram for Business account, feel free to skip this. You can do this from the App Store for iOS, from the Google Play store for Android, or from the Windows Phone Store for a Windows device. Once Instagram is installed on your phone, open it. Then tap “Sign Up” and enter your email address. You can also sign up with your Facebook account, which, if you’ve created a Facebook business page, will be slightly faster and easier. Okay, now you’re ready. Let’s go. Aside from your business name, username, and website URL, your Instagram profile provides 150 characters for writing a bio. CLEAR: Use short, simple words and separate your text with line breaks. CONCISE: Use emojis to quickly create a sense of brand personality in a few characters. COMPELLING: Use a CTA, or call-to-action, to tell visitors what they should do next. Before visitors ever read your Instagram bio, they’ll see your profile picture. It’s your first impression. Therefore, the right profile photo for a Business Instagram account is usually your logo. Establishing your brand’s look on Instagram means creating a sense of visual consistency on the platform. Visual consistency is important because it makes your brand’s images instantly recognizable in a sea of other content. This increases the chance that people will engage (e.g., like or comment) with your posts. 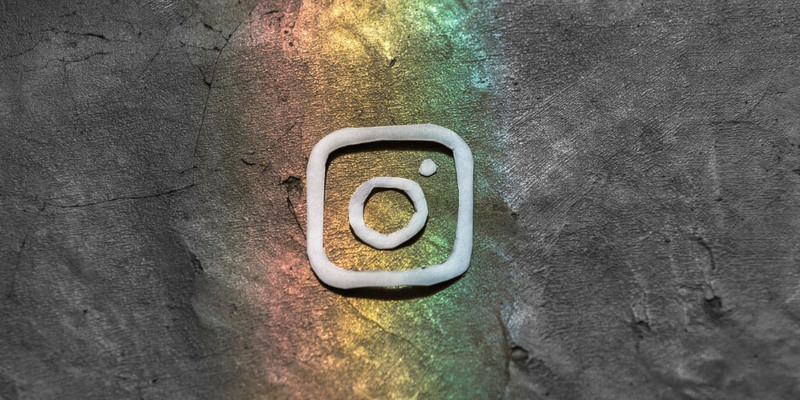 “Since your goal is to get Instagram users to stop scrolling once they see your image,” explains Sarah Dawley, Senior Copywriter at Hootsuite, “the more instantly recognizable your photos are, the better. If you don’t create goals, you won’t know if your Instagram Marketing investment is paying off. The former will tell you if your content is resonating with your target audience. Vanity metrics will also help you measure your Instagram presence against competitors. The latter will help you track and understand how social media is contributing to your broader business results. Both are important in their own right, and should be seriously considered before launching a Business Instagram. To help you think through your agenda—and the metrics that ultimately define it—we’ve put together a plan that breaks down how to set and reach social media goals. Compelling content drives action. It makes people want to share, comment, and click. Use this type of content to introduce and showcase the people behind your business. 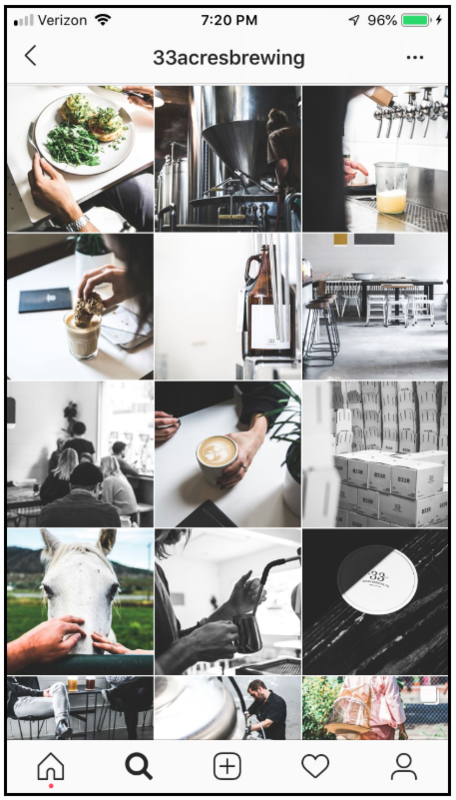 Behind-the-scenes images and videos humanize your brand, reminding followers that your business is the product of community and collaboration, people working together to create something bigger than themselves. People love reading quotes they understand and can relate to, which makes this a simple yet effective strategy to boost engagement. This is a great way to focus your content, creating a theme that gives your audience something they instantly recognize and even look forward to. It’ll also help you generate ideas in a pinch. You can create classic hashtags, like #tbt (Throwback Thursday), which most people know. Or you can create something new, something unique to your business. Change the color of individual letters or words to make your text stand out? Hide your Story from specific users to create segmented messaging? Add line breaks in your bio to make it easier to read? Instagram is a deep, feature-rich platform that anyone can use to create unique content. Mastering these little-known features and hacks will ensure that you’re using Instagram to its full potential, creating content for someone rather than just anyone. Te help you with this, we’ve put together a list of Instagram tricks and features you probably didn’t know about. A paid partnership with a a relevant influencer (i.e., a popular account that shares your audience and/or industry) is a proven way to drive attention to your business. But not all influencer partnerships are created equal. You should also plan to pay for your partnership. When it comes to engagement, captions are arguably as important as the image or video they compliment. 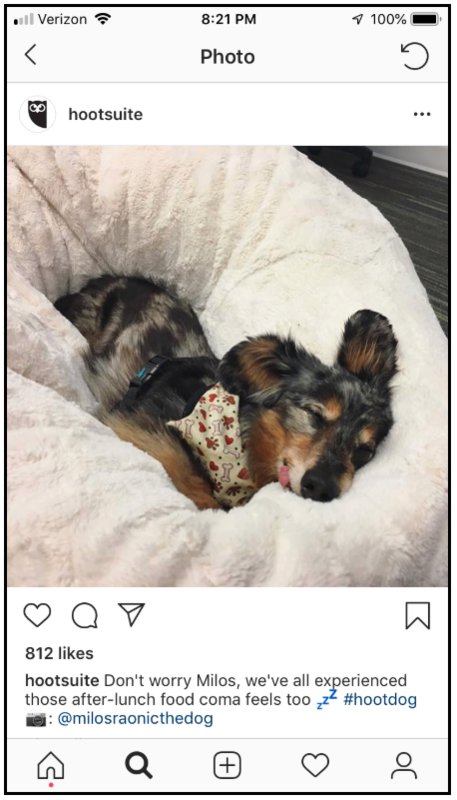 “A great caption will add context, show off your brands personality, entertain the audience, and compel people to take action,” explains Michael Aynsley, editor of the Hootsuite blog. Like any good copy, the best captions are clear and concise, easy to read. The best captions, in fact, don’t make the reader think at all. They’re effortless to consume and understand. Achieving this effect comes down to knowing your audience and your brand voice. The former will ensure that your content is interesting, memorable. The latter will ensure that your content is consistent, recognizable. You can also practice good copywriting tactics (e.g., placing the most important words at the beginning of the caption; using small words and short sentence) and techniques (e.g., always making time to edit after you write; posing relevant, thought-provoking questions). For more help with this, read our post on how to write good Instagram captions. 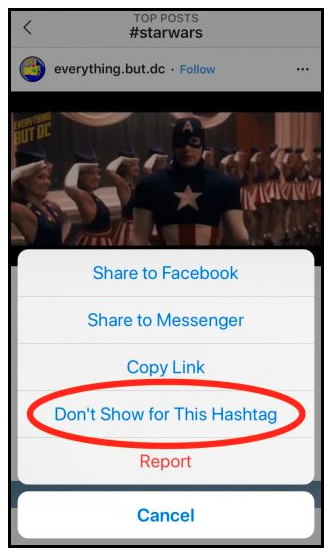 In the battle for attention, hashtags are a potent tool. Used well, a hashtag can drive hoards of net-new visitors to your post, profile, and brand. But if the hashtag is misleading—if it’s overused or irrelevant to the content altogether—it can be extremely counterproductive. For more hashtag tips, read our hashtag guide. The fastest way to boost your brand’s visibility is to get onto the Explore tab. The Explore tab is where users find curated content based on their previous actions and engagement patterns. 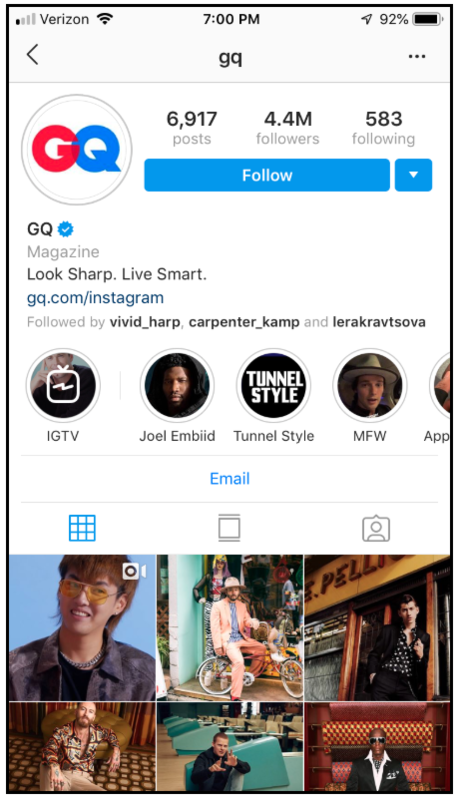 In other words, Instagram watches what you do on the platform (e.g., the posts you like, share, and comment on), then populates your Explore tab with similar content. Instagram also sources content with high engagement as well as content from accounts similar to those the user already follows. It’s all about data and pattern recognition, which begs the question: How do you get your content on the Explore tab? Who’s your target customer? What interests her? Who does she already follow on Instagram? Reverse engineer your target audience to truly understand what moves them to engagement. Hashtags are the most effective way to make your content discoverable, to get it in front of net-new eyeballs. Hashtags enable people to find your content, which is why every marketer must use them. If you study the do’s and don’ts of using hashtags, your content will enjoy more engagement— and that could land you on the Explore tab faster than you think. The more likes and comments and shares an Instagram post gets, the more likely it is to appear on your target audience’s explore tab. Encourage engagement by geo-tagging your posts and mentioning other relevant accounts in your captions. The more relevant you make your post to other people and brands, the more action you stand to compel. 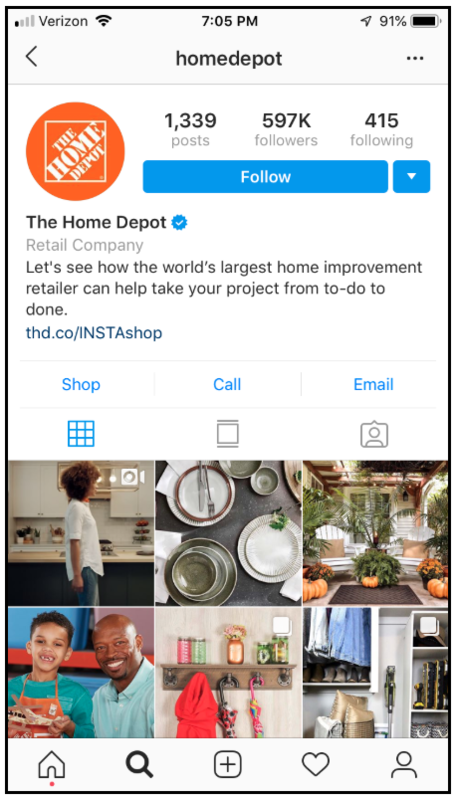 If you’re in a competitive space, you might consider using Instagram ads to market your brand. Instagram offers five ad formats: videos, carousels, photos, canvas Story ads, and Story ads. Each format is incorporated into your target audience’s Feed or Story, making it hard to miss. Of course, you can grow your Instagram presence organically, without spending a cent. But this will take time. If you don’t have time, ads will help you get where you’re going faster. To help you with this, we’ve put together an Instagram advertising guide for marketers. Tracking and understanding your analytics is the only way to ensure you’re on track to achieve your Instagram Marketing goals (see: #4) and objectives. Whether you’re tracking impressions (i.e., how many people saw your post), reach (i.e., impressions divided by number of followers), or general engagement (i.e., how many times a post is liked, commented on, shared, or saved), there are tools you can use to make the process easier, quicker. If you have a business profile, you can immediately access Instagram Insights. This is the platform’s built-in analytics tracker. Instagram Insights gives you a simple, at-a-glance dashboard to review. 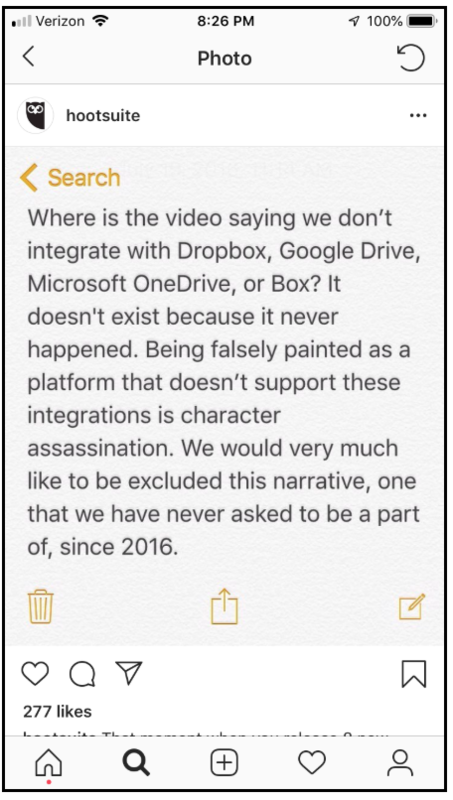 The data is fairly limited, and you can’t export any of it from the app. If you’re looking for a deeper dive, our Instagram Analytics piece breaks down seven tools that’ll help you make the most of your data.